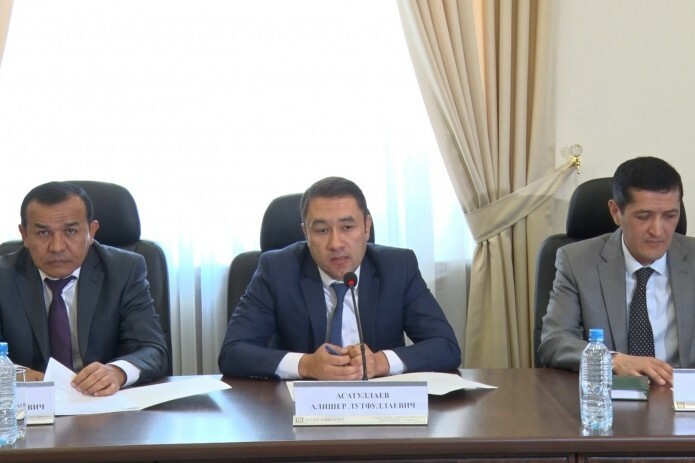 Representatives of NEIIC Uzbekinvest talked about insurance services provided by the company during the press conference. During the first half of 2017, the company provided 45 projects included in the Republican investment program with insurance protection for total sum of 10 trillion soums. The participants talked about the problems of the insurance industry. Over the past 7 months, the total volume of insurance premiums collected by the company amounted to 41.2 billion soums, the volume of insurance liabilities – 58 trillion soums, insurance payments to the population, enterprises, small businesses and private entrepreneurs – 9 billion soums. Some 158 thousand insurance contracts were concluded with legal entities and individuals.